Welcome to CM Style Fashion. 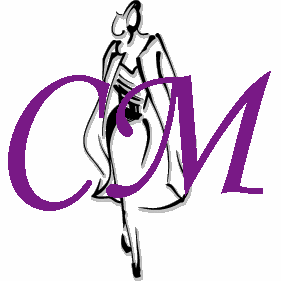 CM Style is a company specialized in supplying women's fashion clothes and accessories to the world through our online sales channels. Every week, our professional sourcing team visits suppliers around the asia pacific regions to get fashionable design and quality products for our customers. We believe we are not just in business but in an industry to get people to dress more beautiful and attractive for a happier life! Normally, items will be mailed out within 1~2 working days after receiving payment. All items will be air mailed REGISTERED to the confirmed delivery address and a tracking number will be provided for tracing the parcel. Seller will not be responsible for any shipping lost and damage. Other Parts of the World : Please send us email for more information. Purchased items may be subjected to import duties, taxes, and/or customs fee imposed by customs in some countries. Buyers are responsible to pay for any additional charges for customs clearance. We offer 7 day money back guarantee for defective item. Return of defective item accepted within 7 days after the item is received. Goods should be mailed back to CM Style Fashion after prior email approval. The returned goods should be in original conditions without any damages. A replacement will be shipped instead of refund if extra stock is available. Buyers are also protected by Square Trade Seal buyer protection and our service commitments for best customer satisfaction. Please click on our square trade seal at the top for more details. Question: How could I know you have mailed out my item? Answer: After mailing out your item, we will send you a confirmation email with the mailed out date and tracking number for your information. If your email address does not work, please let us know beforehand such that we can inform you at the right time. Question: All your items will be mailed with Registered Mail? Answer: Yes, we shipped all the items with Registered Air Parcel for the benefits of our customers as the mailed items are valuable and we would like our customers to be able to receive them securely and are able to trace the item with respective tracking number. No extra cost will be charged for the Registered Mail. Question: I have an important event next week. Can I receive my item faster? Answer: Yes, there is an alternative to normal Registered Air Parcel which is Speedpost provided by Hong Kong Post. The shipment lead time will be reduced by about half but the cost is much more expensive. If you wish to mail with Speedpost, please email us your location and expected receiving date and we will reply you with the mailing cost and approximate lead time. Question: Will you accept Money Order? Answer: We accept International Money Order. However, please bear in mind that there will be a mailing delay on the item as we need to wait about 10 days to receive your Money Order. Please also mark clearly inside the envelope your purchased item number and id such that we know what the payment is for. Question: Will you accept cash? Answer: No, we do not accept cash even it is mailed with registered mail as the process for mailing cash is rather unreliable and the buyer bears all the risk for losing the money. We are responsible for our customer and not willing to risk our customers in any process to lose money. Question: I have paid with Paypal for an item. When will you mail it out? 1. The payment is made during public holidays in Hong Kong for which we are unable to process your shipment. 2. There are other items still within the bidding process by the same customer and we are waiting for the completion these items and their payments such that we can combine shipment these items. If you wish to mail out the paid items first, please send us email to let us know. Question: How can I find out whether the measurements stated in your product description fits me? Answer: Our clothes measurements are based on lying flat measurements ie. the measurements are taken by putting the clothes lying flat on desk which may varies a bit with the actual dressing size. To be more accurate on whether the clothes will suits you, you make pick the clothes best fits you from your wardrobe and take the measurements by lying it flat on your worktop. Compare the sizes you have taken with the measurements stated in the production description. Then you will have a better idea whether the clothes fits you. Question: Why there is a range for some of the measurements? Answer: For some of the clothes, the material is rather stretchy. For such clothes we will take the measurements with a range from without being stretched to almost fully stretched. Question : It has been a long time that I have not received my purchased item? 1. If there is nobody to receive the parcel at the mailed address, a notice will be left by post office informing the recipient to collect the parcel from the post office. Such notice may be ignored. You can call your local post office and quote the tracking number to check the status and arrange recollection. 2. The parcel may be received by other people within the family but the real buyer is not notified. Please ask your family whether they have received the parcel for you. 3. During holidays such as Christmas, the postal traffic is extremely heavy. There may be some delays in receiving the parcel. If you still can't locate the parcel after checking the above, you may email us at sales@cmstyle.com.hk for further assistance and we are pleased to serve for your needs.